On Friday, February 2nd, Forge Resources Group celebrated 30 years serving our customers. First National Bank of Omaha catered a celebratory lunch for our entire staff. The partnership between FRG and First National goes back to February 2nd, 1988. Don Jones and Tim Struthers worked until 2 a.m. to finalize the details of transferring ownership of then Dekalb Forge Company. Today, Don Jones still serves as the president and owner of Forge Resources Group, while Tim Struthers continues at First National Bank of Omaha as Senior Vice President. We look forward to further partnership with First National Bank of Omaha. 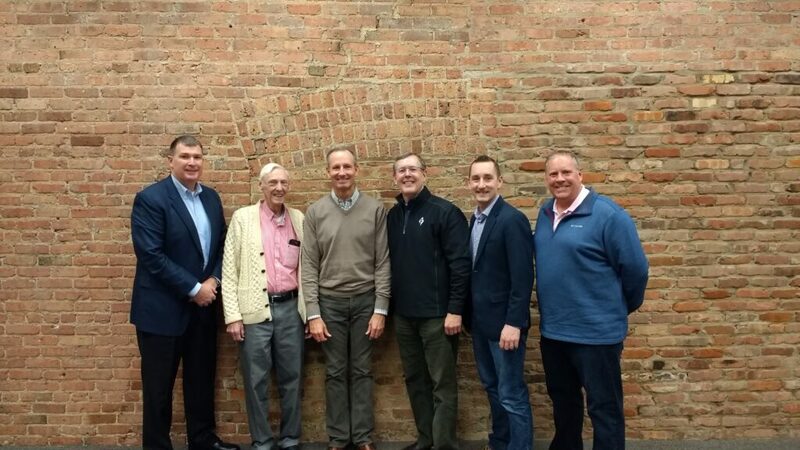 Thirty years of growth at FRG include well over a dozen acquisitions, hundreds of new hires, five active plants across the Midwest, and a strong commitment to growth and development in the local community. Jim Warren, president of the Forging Industry Association, was also able to attend the lunch. He is featured in the photo on the far right. We look forward to future opportunities with the Forging Industry Association. Jim Warren, President-CEO of Forging Industry Association.